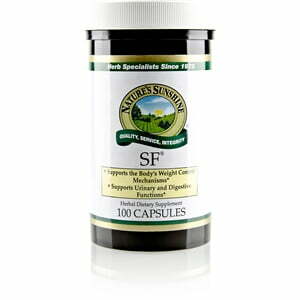 Nature’s Sunshine SF® promotes healthy weight loss. The formula consists of cascara sagrada bark, hawthorn berries, papaya fruit, licorice root, and safflower flowers among other herbal ingredients. 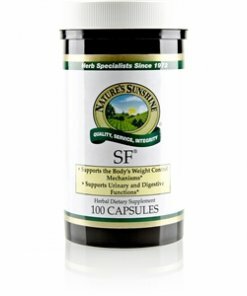 SF nourishes the body’s intestinal, urinary, and digestive systems, all key systems in weight management.